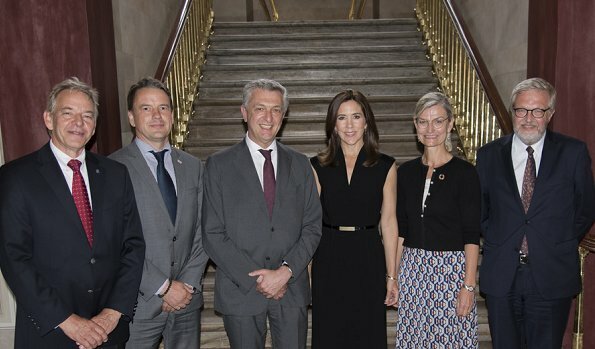 On June 12, 2018, Crown Princess Mary of Denmark attended a meeting with UN Refugee Chief Filippo Grandi at the Amalienborg Frederik VIII's Palace in Copenhagen. Ulla Tørnæs, Minister for Development Cooperation and Christian Friis Bach, Secretary-General of Danish Refugee Council (DCR) were also present at the meeting. Crown Princess Mary is the Patron of UN Danish Refugee Council. 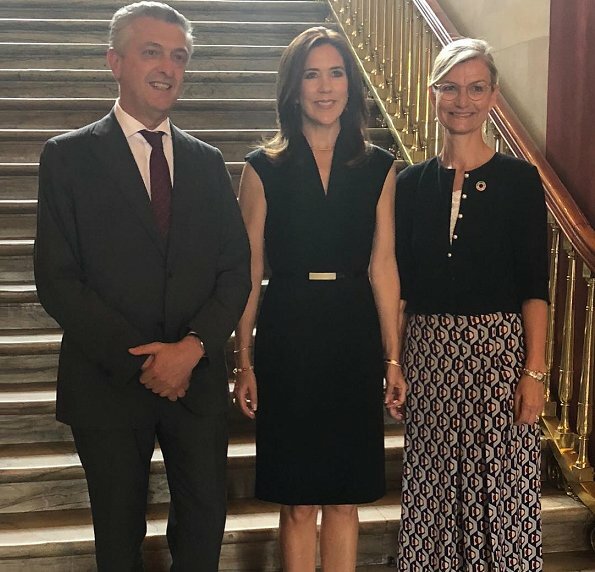 I am very impressed to know about a very important role of Crown Princess Mary of Denmark as the Patron of UN Danish Refugee Council. CP Mary has the most beautiful hair! She looks pretty and she also looks like a down to earth person, congrats ! CP Mary looks lovely! Keeps busy with duties, mom to four and still takes the time to look her best! Well done. CP Mary today at the important UN Denmark meeting she wore a very nice black dress. Black is always festive. very pretty look. Her hair look beautifully shiny. With all help you can get of course you can look good all the time. No dishes,washing and so on. So lovely and very impressive.